Family, friends, gifts, tradition and waste. Welcome back to the holiday season! You've probably heard someone say it before, and if you knew your grandparents growing up, you've definitely heard it: "What happened to the true meaning of the holidays?" It's a question that has substantial implications, not only culturally, but environmentally. Each year, our beloved holiday traditions are accompanied by collateral damage. From the wrapping paper and lights to the massive meals and hectic travel, the holidays generate a lot of extra waste. The United States Environmental Protection Agency estimates that between Thanksgiving and New Year's Day, United States citizens alone generate 25 percent more waste than normal. The billions of greeting cards, fake trees and plastic gift packaging certainly adds up. The United States Environmental Protection Agency estimates that between Thanksgiving and New Year's Day, United States citizens alone generate 25 percent more waste than normal. Norman Jones, the commissioner for the Department of Environmental Services within the City of Rochester, is an advocate for recycling. A new initiative to bring single-stream recycling (similar to the system at RIT) to the City of Rochester is one of the city's goals concerning recycling. "If you make it easy for them to recycle, people will recycle," Jones said. With the new single-stream recycling program in the works, along with Rochester's Christmas tree recycling program (with four locations), founded in 1990 by Norman Jones, recycling options in the City of Rochester are becoming more convenient. However, recycling isn't limited to what you put in the blue bins and where you drop off your trees. Enid Cardinal, senior sustainability advisor to the president at RIT, suggested re-use as a way to eliminate waste during the holidays. "Think differently about gift giving," Cardinal said. She suggests that consumers consider alternate types of wrapping, like re-usable cloth, and that they re-purpose unwanted items as gifts. In her own family, they often give gifts that give back to the community. "One year my sister bought my mom, my other sister and [me] a goat for Christmas," Cardinal said. "The goat was through Heifer International and the goat was given to a family abroad, and so that was their livelihood." Another thing to consider when gift giving is the amount of packaging on store-bought items and the material with which these items are made. Technological gifts, for example, often use rare materials that take a lot of energy to obtain. Large amounts of chemicals and energy are also used in the making of plastic gifts and toys. Suzanne Stokoe, the owner of Stokoe Christmas Tree Farms, warned consumers about similar problems with fake Christmas trees, calling the increase in fake Christmas trees "a very disturbing trend." A study by Ellipsos, an environmental consulting firm based in Montreal, shows that a real tree will result in one-third the release of carbon emissions when compared to a plastic tree over a span of six years. The same study claimed that it would take almost 20 years of use for a plastic tree to be as carbon efficient as a natural tree. Meanwhile, real Christmas trees can be recycled and put to use in a variety of ways, including mulching, reinforcing sand dunes and creating habitats for animals. 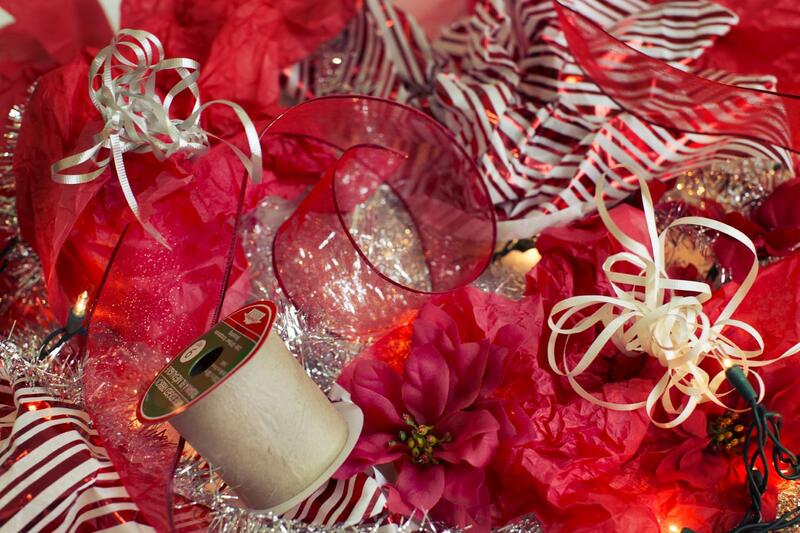 Along with gifts, decorations are a major concern during the holiday season. Some decorations such as tinsel are not recyclable at all, and incandescent lighting decorations can cause unnecessary waste. A report by the U.S. Department of Energy approximates that LED lights, the same lights the City of Rochester uses for decorations, use one-tenth the amount of wattage of standard incandescent lights. And don't forget about extra travel! Telling your family you won't be attending the annual holiday activities in order to save on emissions may not go over well. Thankfully, Dr. Roger Chen, an assistant professor at RIT who is researching sustainable transportation, pointed out a wide variety of practical travel alternatives. Some green solutions include using electric cars for rent, especially in short distance scenarios where finding a charger won't be a problem. Chen said that most car rental companies have green vehicles available. He cited companies like Hertz, Avis and Enterprise as companies who are likely to provide green vehicles in larger cities. Chen also recommended the use of public transportation whenever possible. Planning to travel before or after major holiday rushes can help avoid congestion. It will save time and stress, as well as limit the acceleration of vehicles in heavy traffic which uses large amounts of gas. Carpooling is yet another way to save on travel emissions. With the plethora of environmental issues associated with the holidays, it is a daunting task to be aware of all the problems. However, it is heartening to know there is an equally impressive array of solutions. All that is needed is action. "If everyone does their small bit and we put it together as a whole, we can change an entire generation," Jones said.